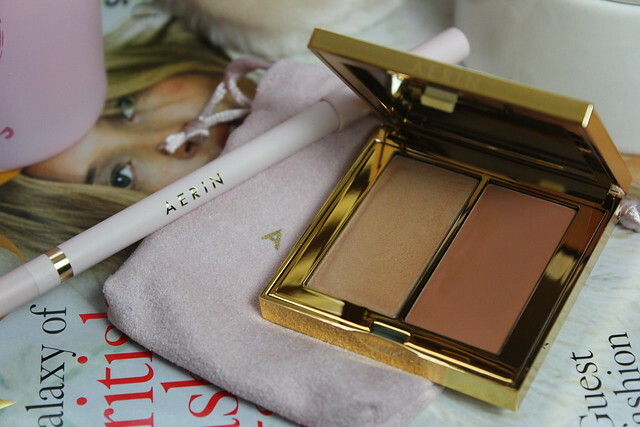 Aerin has to be a brand of 2013 for me – the collections are small, but perfectly formed. There’s a few little additions that really caught my eye from the AW 2013 collection – pale gold champagne pencil liner and a creamy cheek duo of highlighter and colour. 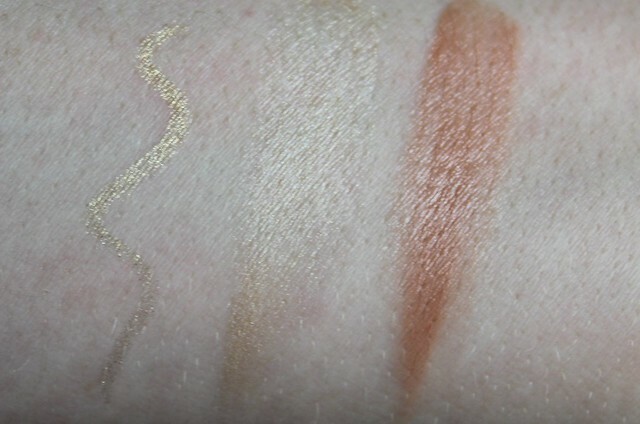 First up, the creamy cheek duo – there’s a browny shade of peach that’s a happy medium between blusher/contour and bronzer – it adds a really nice natural glow to the cheeks and when combined with the champagne creamy highlighter you will be radiant. Then there’s the lovely eyeliner – it’s a soft as anything as it’s a gel pencil formula. So great if you have sensitive eyes then definitely check this out as it’s so soft it feels far less irritating. The colour is a gorgeous champagne gold that either looks pretty on it’s own with lashings of mascara or to set off a bronze smokey eye. 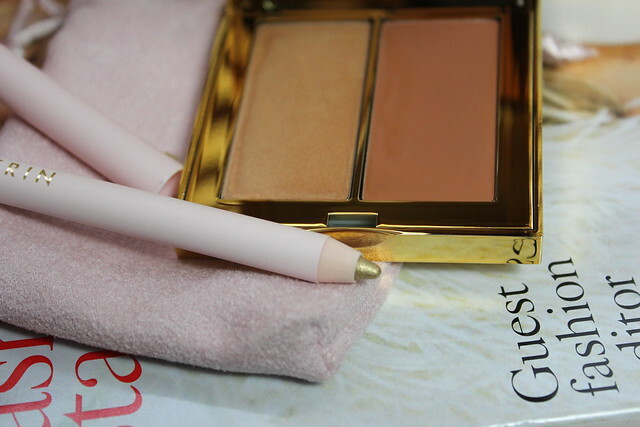 This is one of my favourite Winter collection products to date – very pretty. That gold eyeliner is stunning! There is nothing like it out there at the moment, AMAZING! The packaging looks really lovely and festive! The colors are stunning too! Great picks! I love the eyeliner. Beautiful colours and love the packing!